GASHI Recruits G-Eazy On The Celebratory Anthem "My Year"
Home>New Songs>GASHI Songs> GASHI Recruits G-Eazy On The Celebratory Anthem "My Year"
GASHI recruits G-Eazy for his first offering of the year. GASHI's made waves in the realm of hip-hop for the past few years. In 2017, the rapper came through with four EP's: Turn Me Down, Disrespectful, 24 hours and No No No. The highly productive year was the lead-up to 2018, a year that's was arguably his most successful to date. He continued to bless fans with singles and collaborations with some of the biggest names in hip-hop. Today, he comes through with more heat to kick off 2019 with his new song, "My Year." 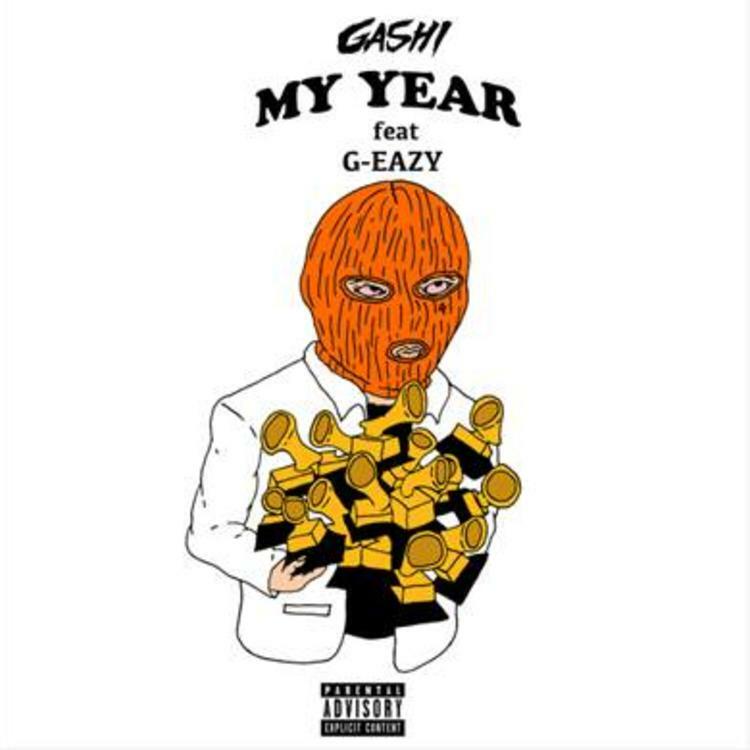 G-Eazy comes through with the assist on GASHI's latest track, "My Year." GASHI delivers a bubbly pop record, flexing his penchant for infectious melodies before sliding it over to G-Eazy who comes through with a celebratory verse. G-Eazy steadily became a go-to feature artist throughout 2018, recently appearing on Tyga's "Girls Have Fun" as well as tracks with David Guetta, Saweetie, Casanova, Vic Mensa and more. The release of "My Year" comes at an appropriate time as YouTube recently selected GASHI for their feature Trending Artists On The Rise today. Peep his new track below and keep your eyes peeled for more new music from him. Tyga Grabs G-Eazy & Rich The Kid For New Single "Girls Have Fun"
SONGS GASHI Recruits G-Eazy On The Celebratory Anthem "My Year"